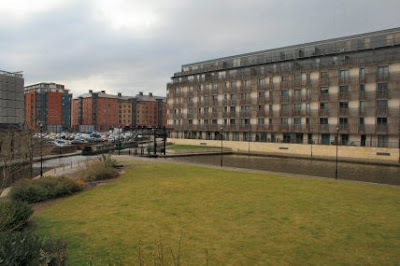 The people of Rochdale may well get a great deal from a visit to Manchester. 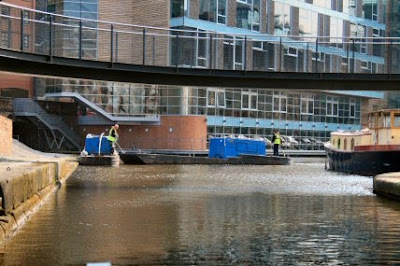 The area around the canal has been regenerated and is looking really good. The moorings are quiet and safe. 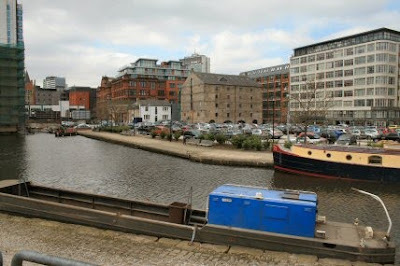 There are a number of little wharfs that boats can't get access to which is a pity as I am sure it would improve the area even more. There is very little rubbish floating about and none on the towpath. I guess it is just a sign of the lack of interest of those living in the outskirts of the big towns and cities. It is surprising that within five minutes walk of the mooring the place is full of shoppers and people just out enjoying the sun. 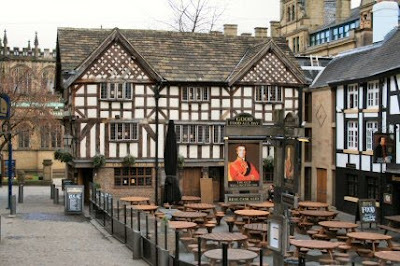 Manchester is impressive with much of the place being new buildings. There are squares everywhere that are well set up with seats for that well earned rest after a long wander about. 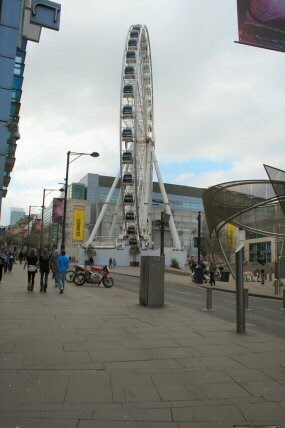 Manchester has its own version of the Eye which is not far from the Cathedral. And in the midst of all the new buildings one comes across something like the Duke of Wellington pub. The Town Hall is a massive building and shows the sort of money that must have been here in the 19th century. 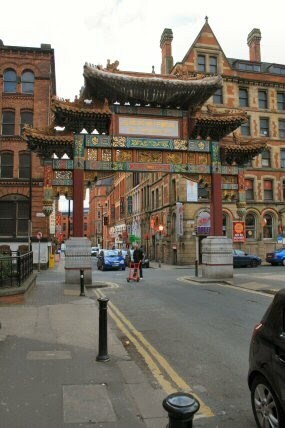 Manchester has divided itself into quarters and in the Chinese Quarter it is almost like being somewhere in Singapore - well nearly. Full of Chinese shops and restaurants covered in Chinese characters. Many of the old warehouses have gone but a few still survive. Some are already converted and the work is still going on. 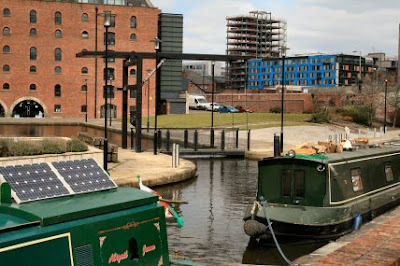 The old bridge which is the entrance to the Aston Canal has almost disappeared under the new buildings. The little wharf opposite the mooring has a lift bridge at its access but there seems to be a lock on the controls so that it can't be used. Back onboard after my walk and half a dozen narrow-boats have come down the Aston canal and moved on along the Bridgewater canal. Then a second BW work-boat came in. I hope they are going to be doing something about the Rochdale rubbish. 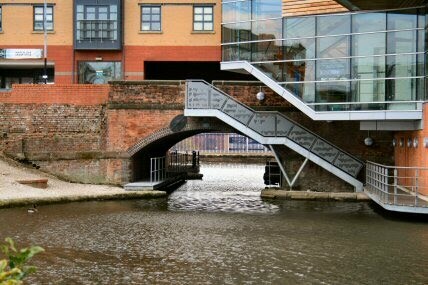 I can recommend Manchester for a visit.